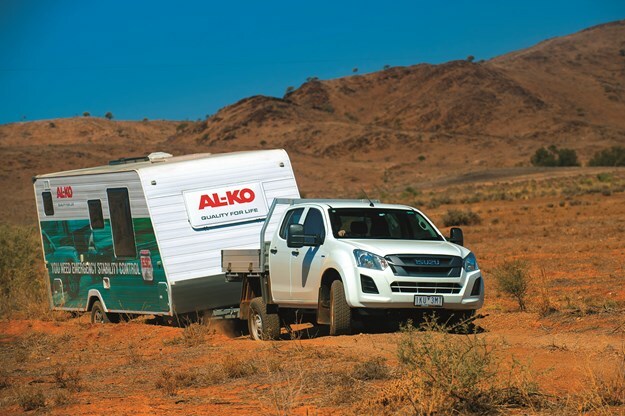 AL-KO’s Toughest Tow Test is all about pushing the limits in some of the country's best off-road locations. Last issue was jam packed with three of the toughest vans for sale today as well a look around what made Eldee Station, NSW, such a good location to put them through their paces. This issue we take a look at the process behind testing AL-KO’s suspension and couplings as well as a quick recap. If you are ever in Broken Hill, NSW, you will probably head north to historic Silverton and if you do that late in the day, you would be silly not to see the sunset at the Mundi lookout and if you do that, you are halfway to Eldee Station. If that doesn’t make sense, it is about 50km up the road from Broken Hill along one of the most picturesque and history filled roads in western NSW. 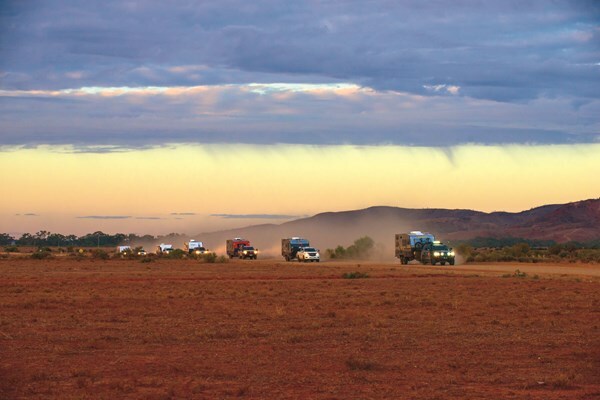 Eldee is still an active station with some cattle and a large number of goats but hosts Stephen and Naomi Schmidt have repositioned the business to cater for travellers and people wanting to see the famous Mundi Mundi plains at their own pace. An adventurers playground, the station is littered with tracks of varying difficulty with some strictly guided tours only and others more sedate. It is worth talking to Stephen about where you want to go and what interests you as the station has a deep history of early pioneers and the struggle to farm in the outback plus a lot to offer an inspiring geologist or nature lover. After talking about our goals, we were shown some options on a station map and let loose to find the terrain needed to really push the boundaries of caravanning in our fair country. 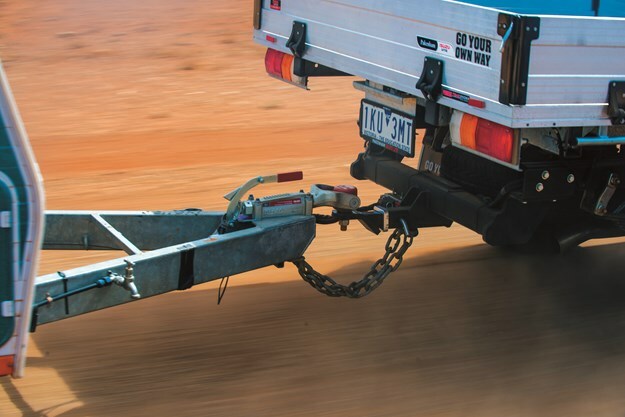 AL-KO’s Toughest Tow Test is all about pushing the limits to learn how well made some of our best caravans are and how much punishment AL-KO’s key components can take. 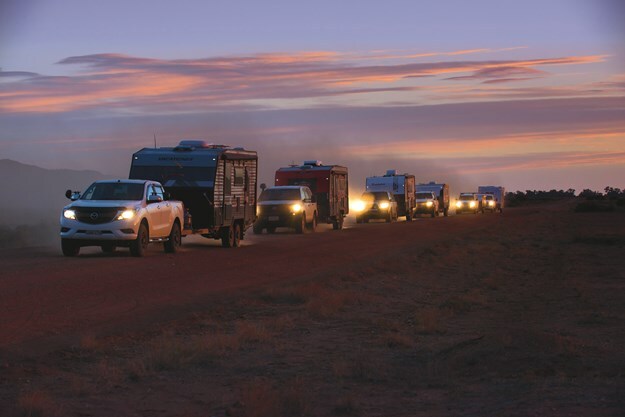 We had six vans all set up with AL-KO Enduro independent trailing arm suspension and an assortment of couplings including the just released AL-KO Off-Road Pin Coupling featuring AL-KO’s patented ClickLock™ system. We hit the tracks a few days before the start to find what we needed. All the vans carried an assortment of AL-KO products from sway control and jockey wheels through to landing legs and breaks but the two sets of products from AL-KO we focussed our tests on were suspension and couplings. 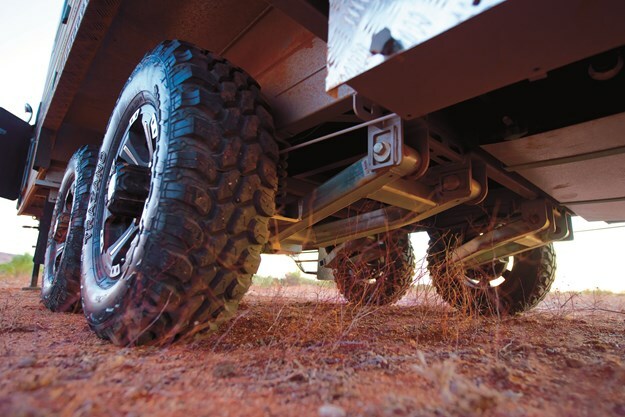 For suspension we had three versions of the popular Enduro range and for couplings, AL-KO’s two offroad-focussed offerings, the Off-Road Ball Coupling released in 2017 and their new Off-Road Pin Coupling. 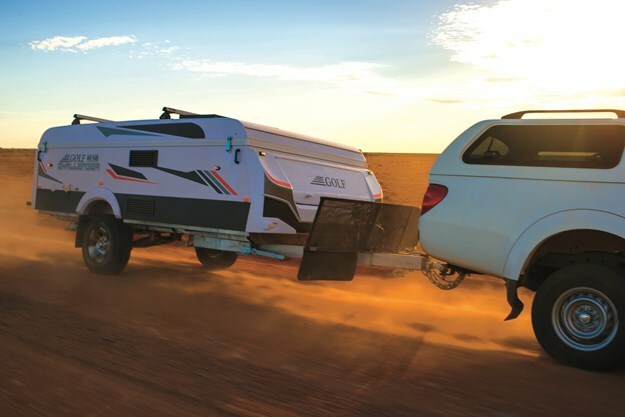 Enduro comes in three guises, Touring that’s designed for comfort and handling on bitumen right through to corrugated dirt roads, Cross Country designed for use on bitumen and graded dirt roads with long runs on corrugations and Outback, the full go anywhere option. 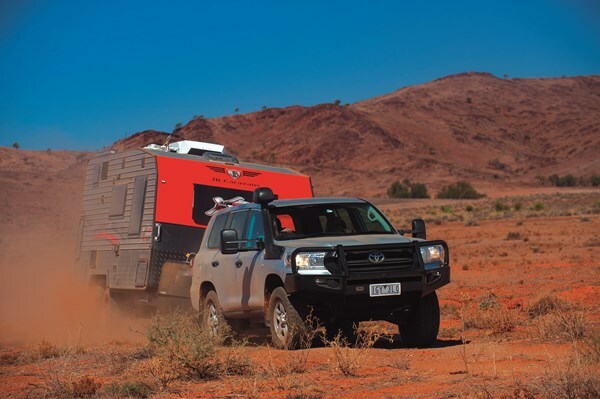 Our main focus was on Cross Country and Outback though we did have Touring along for the ride on the dedicated AL-KO test. 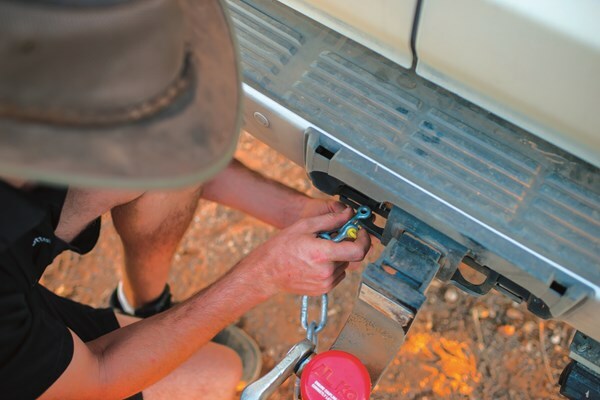 We went hunting for opportunities to push the limits of compression and rebound and how Enduro handled abrupt changes in road conditions as well as sharp banks and deep washouts that would test how robust the couplings were and how well they articulated. 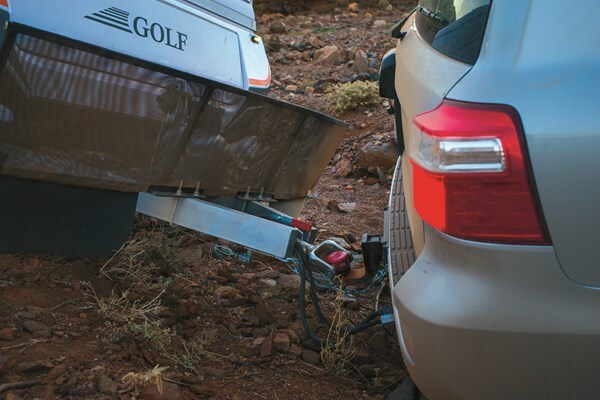 Effectively we were looking for the worst-case scenarios, unavoidable and big obstacles on the road and steep banks and washouts in and out of campgrounds. Around the base of the Barrier Ranges, to the east of the station, we found ancient dry river beds carved into the hillsides that gave us plenty of options to test ramp-over when driving directly into, and over, the edges simulating climbing in and out of the entry of a remote, unmaintained campground. Here we saw the couplings dig into the ground and come out unscaved even on bad angles. 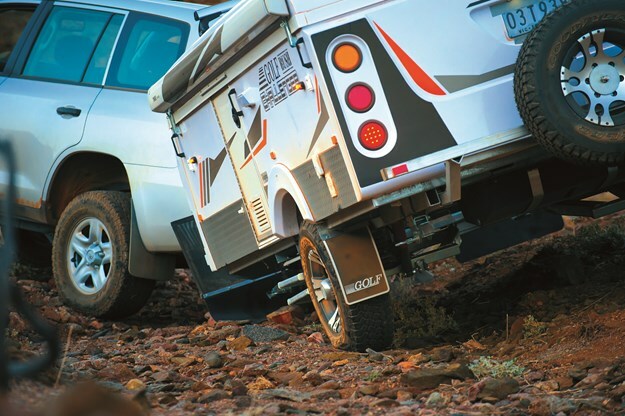 When driving through smaller washouts and over banks we had the chance to see how the suspension took big, unexpected knocks and how composed the suspension kept the body of the caravans. Pete gives us a full report later on this issue but from my angle, the results were good. All vans, even those pushed beyond sensible limits, held their composure and did not become unruly. Hitting the roads around Eldee we found some moderate corrugations, perfect to test the longevity and control from both the couplings and the suspension. It was good to see that all in the daily convoys behaved impeccably with no untoward sway or degradation in shock absorbing. Later in this issue you will be introduced to the the final three vans in our 2018 lineup but before we do that, last issue we featured three vans that couldn’t be more different except for one thing, they were all up for the challenge. 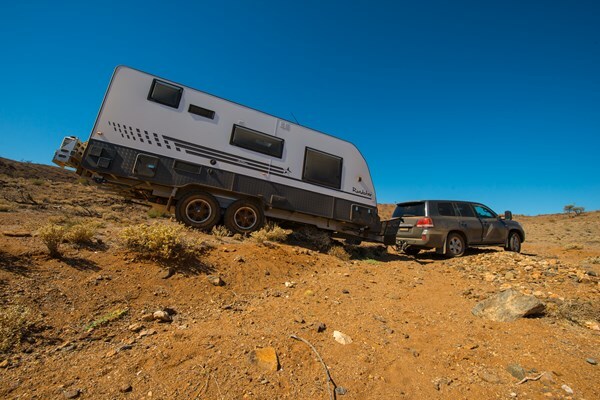 We had the Sunseeker Wild Child, a big family van with high ride height and masses of off-grid tech; the Golf Bush Challenger 2, a two-up pop-top that kept things basic but carried some serious under-chassis credentials and the JB Caravans Dirt Road Xtreme, a semi-offroader that pushed the limits as hard as any at AL-KO’s Toughest Tow Test. The Sunseeker impressed not only for its off-grid capability and family friendly bunk layout but also in attention to detail, especially inside where the layout and quality was up there with the best. It also took everything that we threw at it without complaint. It was the only van not to drag its bum on some of the tougher tracks, even if it was one of the best armoured. 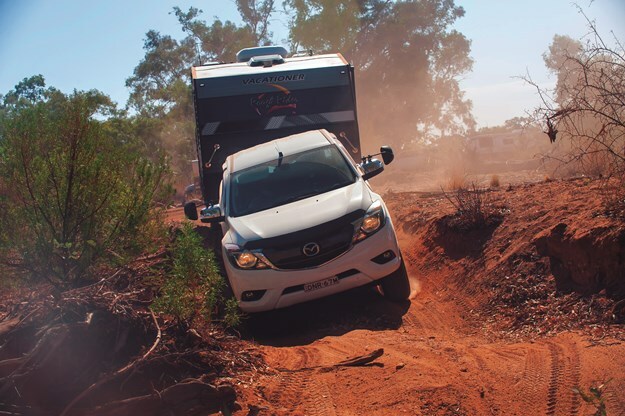 It's only let down was the Mazda BT-50 that towed it down from sunny Caloundra, it failed to make it home after blowing a transmission on a steep climb. The smallest of the vans was probably the most capable. 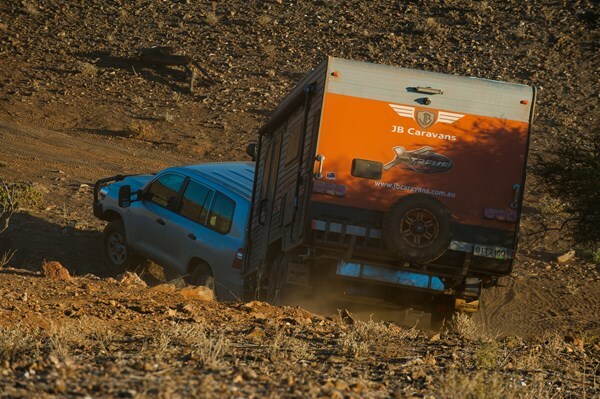 Its tiny footprint and AL-KO Enduro Outback suspension gave the supposedly soft roader the ability to go further and harder than a lot of us expected. It was also a great place to be with full wraparound mesh blocking out most of the harsh sun while still allowing a breeze through. 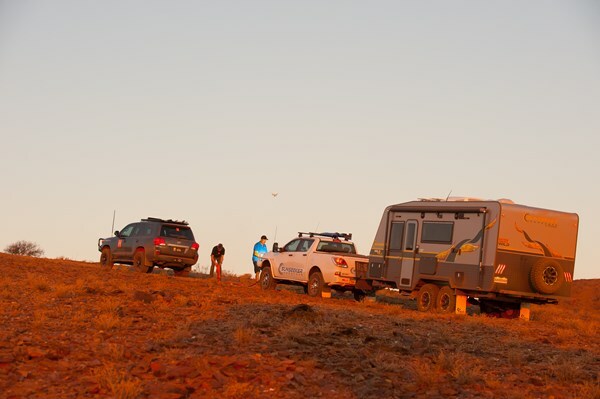 It might have lacked a few amenities, like any form of toilet, but it was more than up to the Toughest Tow Test challenge. One of two vans to arrive with AL-KO’s Enduro Cross Country trailing arm suspension, the big JB held its own. It was the only van to really take damage, bending its poorly placed spare wheel carrier up into the rear of the van and losing its side step on a mound but aside from those two details the factory was keen to rectify, the two-person 20 footer was a pleasure to be in on the hot days with acres of space and sophisticated at that. Eldee Station is 880km or about 11hrs drive from Melbourne. We found it best to split the drive into two days staying at Mildura. If coming in from Sydney you have two choices, north through Dubbo and Wilcannia or south through Goulburn and Menindee. Both options will cover around 1200km so consider at least one stop. From Adelaide is the simplest, straight up the A32 for a bit over 500km to Broken Hill then over on to Eldee. There is a northern entry to Broken Hill up the Silver City Highway. 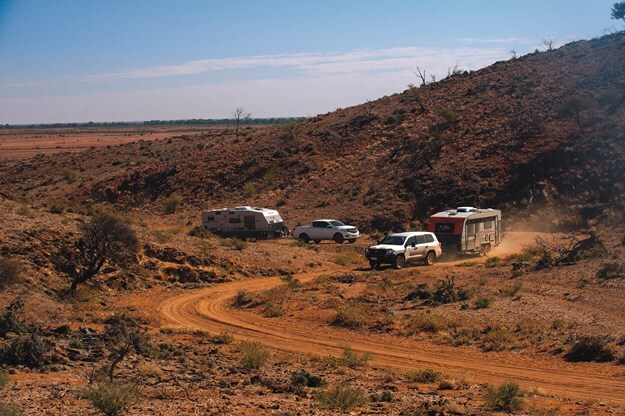 It is a trip worth taking as it takes you past some magic areas like Cameron Corner and Bulloo Downs. Be warned though, parts of the Silver City Highway are unpaved and distance between fuel stations needs to be considered.